As I have described in my article about the casinos in Austria, gambling in Austria is strictly regulated - in theory, that is. In practice, it was monopolised for the longest time, but when the public casino company was privatised, other gambling companies emerged on the market. New laws were released in the late 1990ies that made it easier for private individuals to offer certain card games, slot machines and sport bets and organise them publicly. Especially sport bet cafes ("Sportwettlokale") popped out like mushrooms and (usually slightly shabby) pubs started to offer slot machines to supplement their income. How did they get around the tight regulations? The law in Austria distinguishes between "proper" gambling with big sums of money - and the "Kleines Glücksspiel" ("little gambling"), which is for small amounts under 50 cent per game. This distinction, for example, allows people to play cards for small amounts of money at parties, but also permits slot machines that use a maximum of 50 cent per game. What private gambling companies did next was to add several games up for one "display" of a score. 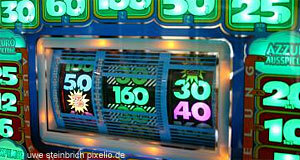 For example, pushing the "go"-button on the slot machine once triggered the release of five "games" and the average result was displayed as the "final" - thereby, allowing a maximum gambling amount of five times 50 cent or 2,50 Euros. By that, they undermined the border of the "little gambling" rule - and private casinos suddenly became hugely popular. Within a short amount of time, the public was in a dilemma: On the one hand, there was the increased freedom of the market, lobbying from some of Austria′s best-connected companies and a huge income from tax (especially for the municipalities, who taxed around 2.000 Euros per month and slot machine), on the other hand there was a dramatic increase in people who were addicted to gambling. Note that gambling companies (especially one) rank among the biggest corporations in Austria and are probably among the most professional ones when it comes to lobbying at the key political parties of Austria. Also keep in mind that the "little gambling" and sport bet pubs have little to nothing to do with the twelve traditional casinos in Austria - they are usually shabby little pubs in bad neighbourhoods. According to gambling addiction experts, slot machines bear the highest risk of addiction - and not, as many people believe, non-social online gambling. Several federal provinces of Austria have either cut down or even prohibited slot machines outside of the "official" casinos in 2008 - half-heartedly that is, though. As it is with many issues in Austria that are treated with hypocrisy and political corruption, a solution might be forced upon the country by the European Union. Gambling is prohibited in most countries of Europe, and so Austria′s role as a little parasite of the common gamblers of Central Europe is not seen with much appreciation. Austria has been warned by the EU several times and now needs to work out strategies to fight gambling addiction. Meanwhile, some of Europe′s biggest online gambling and bet companies have developed - in Austria. Even if their "official" headquarters are often in classic offshore countries like the Caribbean or the Channel Islands, the owners, much of their staff and historic roots are directly linked with Austria.